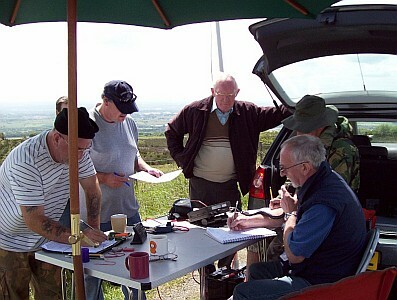 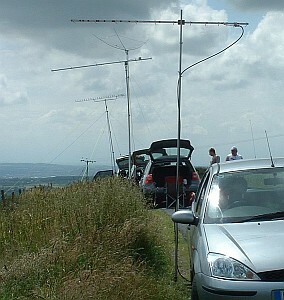 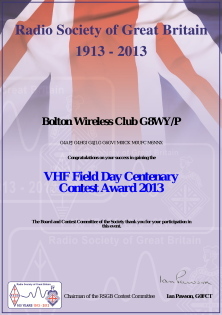 Many of our Club members are very keen on portable and contest operation, particularly on the VHF bands, and have found that these events provide an excellent opportunity to make a lot of contacts during a relatively brief period. 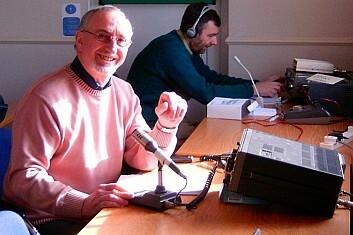 As RSGB President Dave Wilson M0OBW says: "...contesting advances operating skills and promotes friendly rivalry in our hobby. 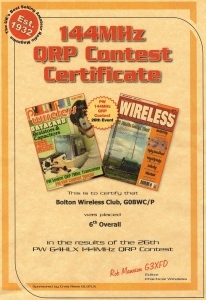 In addition, clubs and individuals ambitions to progress will make technical innovations in order to improve the efficiency of their stations, which helps to advance the self-training aspect of Amateur Radio." 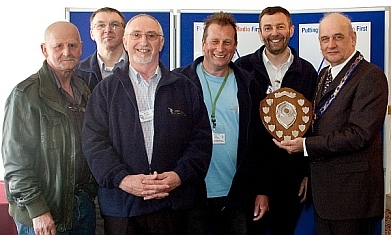 As a Club, we've been posting competitive scores in major national events, including winning the RSGB UK Activity Contest Club Championship four years running. And as the first-ever winners of this new award for the overall Champion Club of 2009, we donated the trophy for this event. 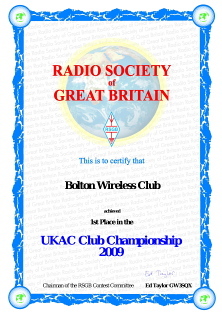 We retained this Trophy in 2010, 2011 and 2012 with a Grand Slam of victories in every section, and also collected the G6NB Trophy as winners of the 2m UKAC. 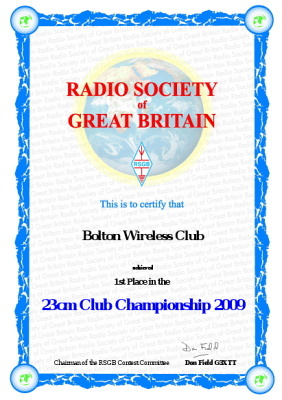 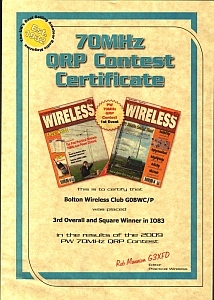 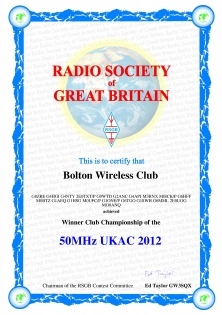 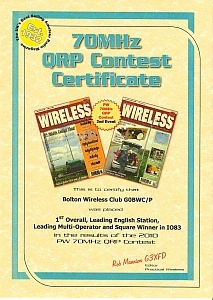 And we received the congratulations of the contest Adjudicators and the RSGB President for stimulating a tremendous amount of new interest in these events, where the entries were up on the previous year by a factor of two or three times - with a particular concentration in the North-West of England! & 432MHz-248GHz Operating on 70cm, 23cm, 13cm, 10GHz and 24GHz! 7-Mar-2010 RSGB 144/432MHz G1ONE/P (M0ICK) on 2m. 7-Feb-2010 RSGB 432MHz AFS G1ONE/P (M0ICK & G7ROM), G4HGI, G1SWH, G6GVI, G0WTD, 2E0CNJ/P, G2ANC, G6HFF, 2E0UOG, M3ZPJ and G1AEQ operating. 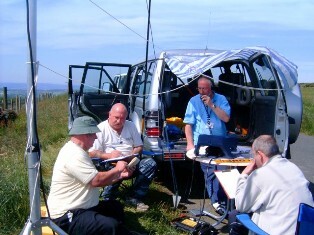 Club Championship 24 Members operating on the first Tuesday of each month.